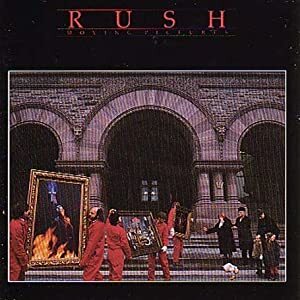 I have never heard of the Canadian band Rush until my boyfriend Jim told me about them. According to Jim, they’re a thinker’s band, one that writes and sings deep, philosophical lyrics . Jim said that since I’m a poet, I should take a look at their poetic lyrics. He made a packet of Rush lyrics for him and me to read. He was really pumped up for the Aug. 31 Rush concert in Allentown, P.A. I’ve read the lyrics, and they’re beautiful! They say there are strangers who threaten us, our immigrants and infidels. Jim and I went to a Rush concert at the Great Allentown Fair on Aug. 31. I admit, it was the first concert I’ve ever been to. It was pretty exciting, and I enjoyed the concert. Although I admire Rush’s musical talents and beautiful lyrics, I’m not well acquainted enough with the band to say that I’m a fan.